China’s economy weakened visibly during the fourth quarter of 2018. 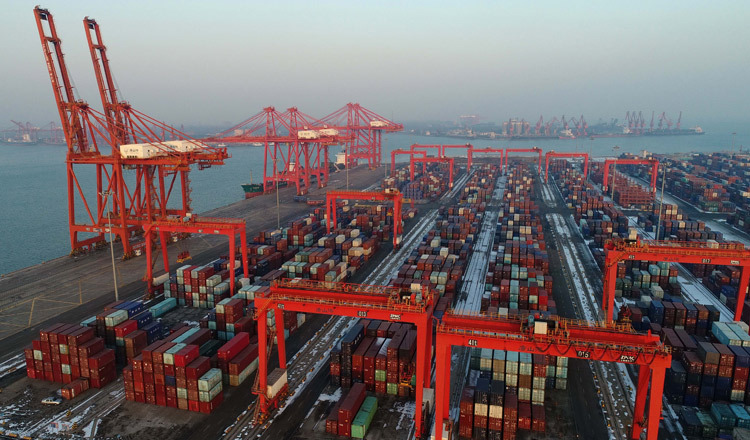 Yiping Huang, however, argues if China is able to fine-tune its economic policies and adopt counter-cyclical measures, it can still achieve a robust pace of economic growth this year – as long as trade friction risks remain under control. If the government is able to fine-tune its economic policies and adopt counter-cyclical measures, China can still achieve a robust pace of economic growth this year – as long as trade friction risks remain under control. The so-called “middle-income trap challenge” led to a slowdown in China’s growth after 2010. GDP per capita rose from $3600 in 2007 to almost $10,000 in 2018. Having lost the low-cost advantage, China must build new industries through innovation and industrial upgrading to support the next phase of its economic development. Moderation of growth will likely continue until this battle between old and new industries ends. The sudden weakening of growth momentum in 2018 is mainly attributable to two new developments. One is the government’s three economic policy battles – cleaning up the environment, controlling systemic financial risks and alleviating poverty – that were launched in early 2018. All are necessary to improve the quality of economic growth. But the first two slowed growth down directly. The trade friction with the United States is as yet having limited direct impact on China’s trade activities. But it is affecting investor confidence and probably delaying planned business investment. Whether the trade war’s full effect – estimated at 0.5–1.5 per cent of GDP – will materialise depends on how long it drags on and how serious it becomes. The economy weakened visibly during the fourth quarter of 2018. But the Keqiang Index (a composite measure of freight, credit and power consumption) still indicated decent economic growth – albeit slower though not significantly than that officially reported. More importantly, while the manufacturing purchasing managers’ index (PMI) dropped below 50 in December 2018, the non-manufacturing PMI confirmed robust expansion. This is consistent with the general theme of a battle between old and new industries. With the government now fine-tuning its environmental and financial policies, their drag on economic momentum is likely already easing. It is also expected that China and the United States will reach some partial agreement on trade friction during the second quarter of 2019 at latest, although a full resolution is unlikely in the near future. The two governments are probably making deals on balancing bilateral trade imbalances, opening up China’s services sector and improving protection of intellectual property rights. Today the Chinese government has limited room to take counter-cyclical policies. Expected policy hikes by the US Federal Reserve Bank in 2019 constrain the People’s Bank of China’s ability to adopt monetary policy easing given limited exchange rate flexibility. Large liabilities by local governments and affiliated local government investment vehicles limit scope for further fiscal policy expansion. And high leverage ratios cap credit and financing growth. The government must create greater policy room. To strengthen monetary policy independence, the People’s Bank of China should consider either increasing exchange rate flexibility or tightening management of cross-border capital flows. Some policymakers are worried this could increase fiscal risks if the fiscal deficit exceeds 3 per cent of GDP. But in reality, consolidated government debts are still about 50 per cent of GDP – a 3 per cent fiscal deficit should not become a hard constraint for the government. More than 20 years ago when Chinese banks had around 40 per cent bad loan ratios, the government established four asset management companies, which purchased about 1.4 trillion RMB ($206 billion) worth of bad loans from the banks at face value. This relieved the banks of their debt burden and enabled the start of a new round of restructuring. There’s a case for contemplating a return to these measures to ease the burden of the structural adjustment that China has to undertake now.